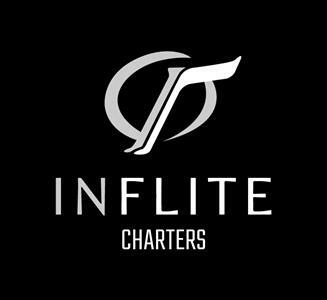 INFLITE Charters are New Zealand's largest dedicated private and corporate charter airline specialising in fixed wing and helicopter charter throughout New Zealand, Australia and the South Pacific. Whether you are after a scenic helicopter flight, or need to transport a team of 80 across New Zealand, INFLITE Charters have the right aircraft solution for you. The Pilatus PC-12 is the perfect aircraft for New Zealand. It has the capability to service all regional airports, along with the versatility to land on grass runways - opening up additional destinations un-reachable by other charter aircraft. With its stylish interior and flight performance, the PC-12 can provide seamless travel to your next holiday retreat or corporate meeting. The Mustang is Cessna’s entry-level private jet. You can choose the aircraft to be flown with one or two pilots. With two pilots at the helm there are four passenger seats available and with one pilot the Mustang can carry five passengers with the fifth passenger sitting in the seat normally occupied by the co-pilot. The Mustang has a maximum range of 1,150 nautical miles and is very well suited to domestic flights within New Zealand. The revolutionary light jet features Williams FJ44-3AP engines & the Rockwell Collins Pro Line 21™ integrated flight deck. In charter configuration the Nextant seats up to 7 passengers in luxury. The Nextant offers a superior travel experience for discerning customers, with greater comfort & baggage space than other light jets. Specifically designed with the passenger in mind, the Jetstream 32EP is a true airliner and boasts the largest cabin in the 19-seat class of aircraft. The Metroliner comfortably seats 19 passengers in normal configuration. This twin propeller aircraft has a range of 540 nautical miles (1,000 km) which makes this aircraft the perfect solution for domestic charter flights throughout New Zealand. The Fokker 50 (F50) is a high performance turboprop aircraft with outstanding payload and range performance. The aircraft offers jet standard passenger comfort including headroom, seat pitch, overhead lockers, and is fully air-conditioned making it the most comfortable turboprop in operation today. The Boeing 737 provides a perfect charter solution for both passenger or full freight configuration around New Zealand & Australia. In Passenger configuration the 737 offers a quiet & comfortable cabin experience & is ideal for larger group charters. In Freight configuration the 737 can carry up to 16T and can service most international and regional ports. The Convair 580 was designed when passenger comfort was a priority, with very generous seat pitch and leg room and large viewing windows. The Convair is extremely versatile with an excellent payload range, meaning you can carry more passengers/freight further and to more isolated destinations. Equipped with a pressurised and fully air conditioned cabin, a hot and cold service galley, rest room, and a professionally trained flight attendant - a very personalized and friendly in-flight service is guaranteed.